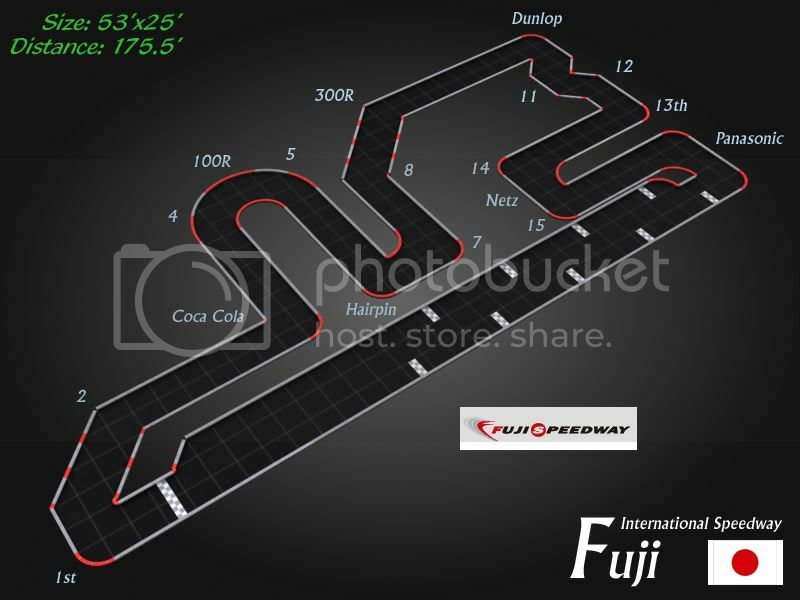 We put together your Anderstorp track last night and really enjoyed it. Thanks for the design. 180deg pano of the whole thing! Herman- We are very fortunate that the community center donates the space to us. There are no entry fees, we've managed to kept racing free at Mini-AZ all these years. Oschersleben took longer than usual to setup, it was about 45min. We usually have it ready in about 30min depending on the track. We've been using Giro-Z for a couple years now and its great! Reliable, small, light, and negligible power drain. One of our drivers is an employee there so its not really a set limit. We only use it once per month in the winter and twice per month in the summer (the other winter location is DJ's Porsche shop, another driver). Our usual time is 9am-5pm, but it sometimes runs late when there are technical problems. We try not to let anyone miss out from car trouble, but it can make the days a bit long. In the past we've had to rent space. Most places want $200-$500 for about 6hrs, but a very few will lower that to $50 to help out a club. A Police lodge and an American Legion Hall have helped us out in the past. Other times we were able to use a community room at a driver's apartment complex. The community center is the biggest room we've had and has greatly opened up the possibilities for RCP layouts. Last edited by Dusty Weasle; 2010.09.24 at 04:33 AM. 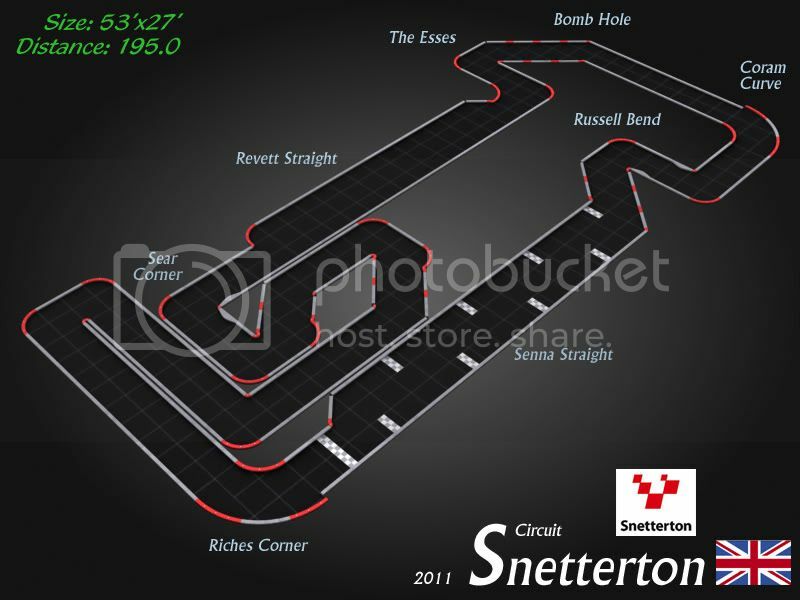 Here are two more real-world tracks, Snetterton Circuit in the UK and the famous Fuji Speedway in Japan. 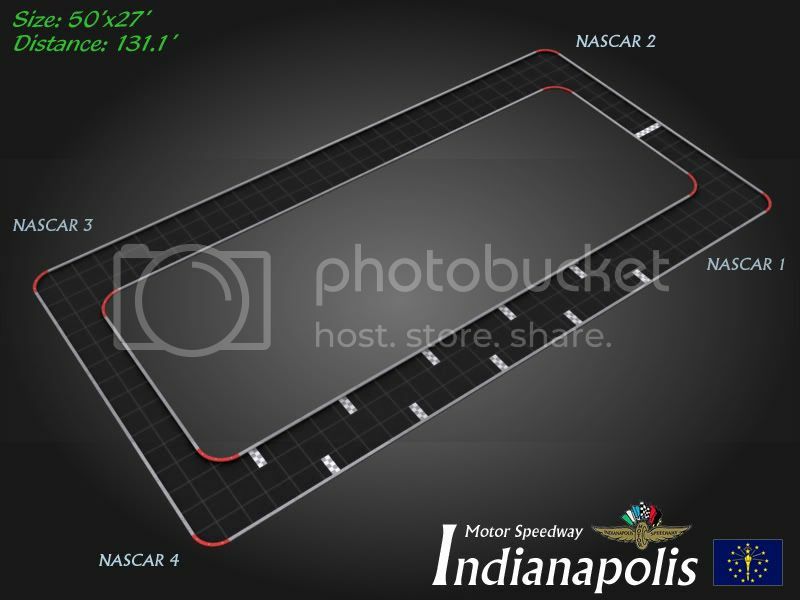 I also updated the Monza layout pictured earlier in the thread with a wider Tribune straight that ran much better in a crowded field. 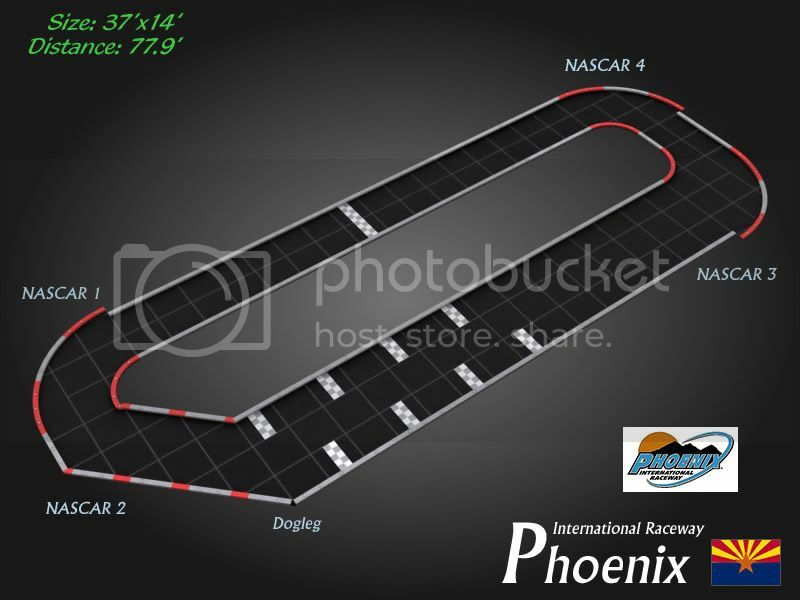 This year Mini-AZ began a new annual special event- oval racing. 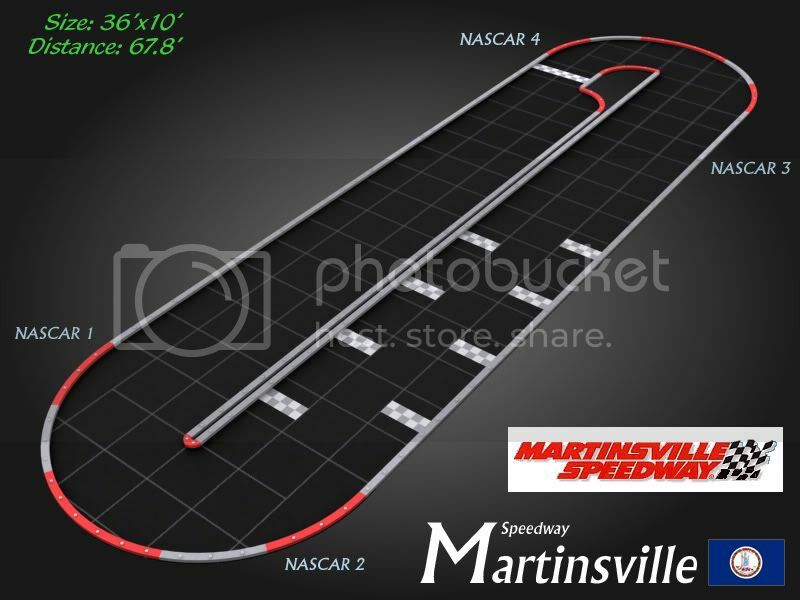 We ran the small Martinsville track and had an absolute blast! 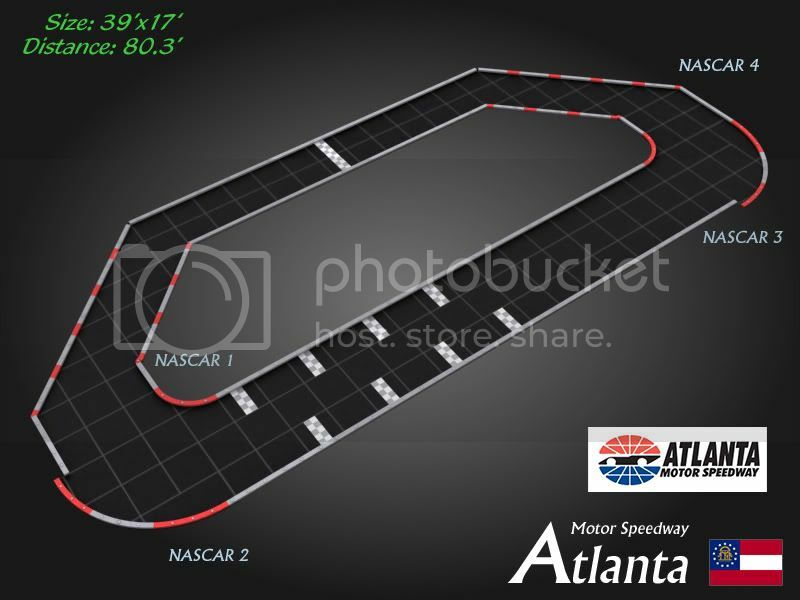 An oval seems pretty simple, but as proper NASCAR fans know: It's not about turning left, it's about not turning right. And by the end of the day the right side of the track was a snow drift of RCP dust and marbles. Absolute. Blast. 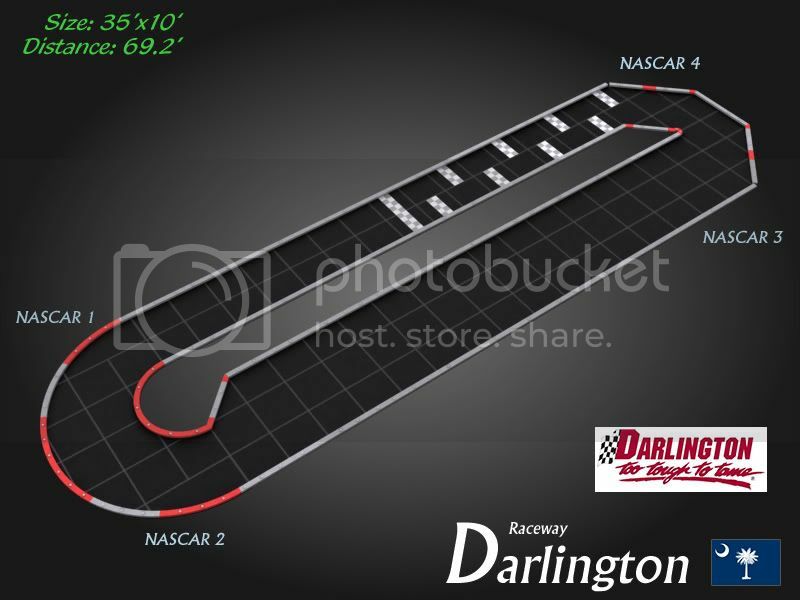 So in preparation for the coming years, and for fun, I've put together designs for some of NASCAR's most iconic tracks. If you run one of these, please post pictures and let us all know how you did. Last edited by Dusty Weasle; 2012.08.10 at 01:08 AM.